Dominican-American designated hitter and outfielder Manny Ramirez is currently a free agent, but his baseball career has been one of the finest witnessed in the late 20th and early 21st century. Ramirez has represented several clubs across the US. His professional career began in 1993 with the Cleveland Indians with whom he remained until 2000. He then moved to the Boston Red Sox, where he played between 2001 and 2008. 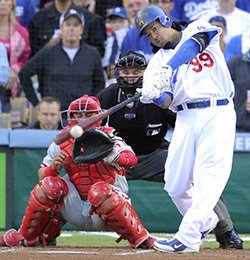 Manny then switched to the LA Dodgers where he remained until 2010 before moving to the Chicago White Sox for a season. He also played for the Tampa Bay Rays and the EDA Rhinos for one season each. Ramirez grew highly popular during his prime due to his fine batting skills coupled with sheer power. He is one of 25 players who have reached the 500 career home run landmark. He has also won 21 grand slams, placing him third on the all-time list, while the 29 home runs he has scored during post-season is the best record in Major League history. Ramirez featured in twelve All-Star Games. Starting in 1998, he made eleven consecutive appearances for the All-Stars. Every season that he was part of the Red Sox's roster, he was selected for the All-Star game – a record no other player can boast. 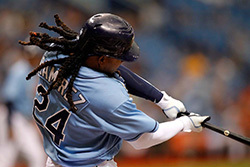 Ramirez was reportedly among a herd of more than hundred MLB players who were positively tested for performance-enhancing drugs in 2003. Six years later, he was inflicted with a fifty game ban for violating the sport's drug policy. He took HCG – Human Chorionic Gonadotropin – a fertility drug for women. Victor Conte, a steroid dealer reported that HCG is usually used to restart the natural production of testosterone once a steroid cycle has come to an end. In 2011, Manny was confronted by the MLB as he had allegedly violated the drug policy again. As a result, he faced a potential 100 game suspension, so he decided to call time on his career instead of facing the ban. Manny Ramirez is one of the most celebrated baseball players in the US. He has several honours to his name, including the World Series Title which he won on two different occasions – in 2004 and in 2007, and twelve appearances in the MLB All-Star Game – in 1995 and 1998 through 2008. Manny was voted as the MVP in the 2004 World Series. He was also the American League RBI Champion in 1999, the American League Batting Champion in 2002, the American Home Run Champion in 2004, the winner of two American League Hank Aaron Awards – in 1999 and in 2004, the recipient of nine Silver Slugger Awards – one in 1995 and eight between 1999 and 2006. He finished two seasons as the American League leader in Outfield Assists – in 1996 and in 2005. A member of the 500 Home Run Club, Manny Ramirez also boasts of 29 home runs and 72 walks during post season – two records that are expected to remain untouched for quite a while into the future.